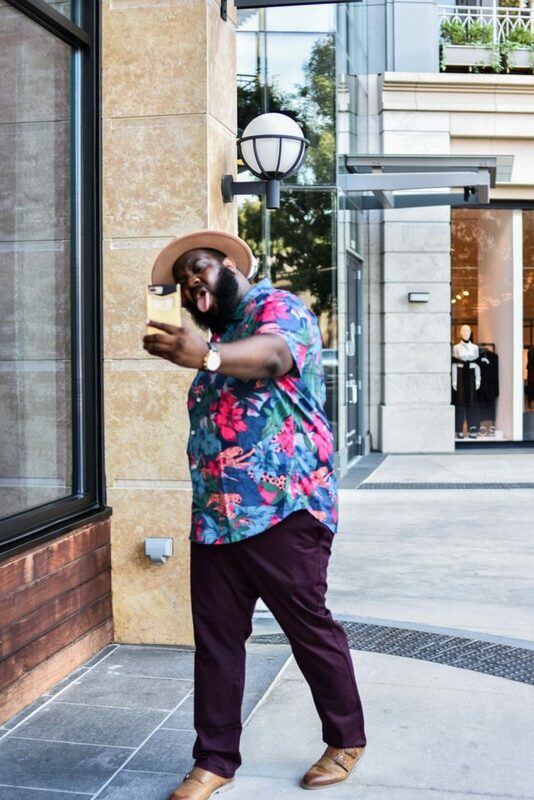 Looking for elevated Big & Tall Mens clothing? 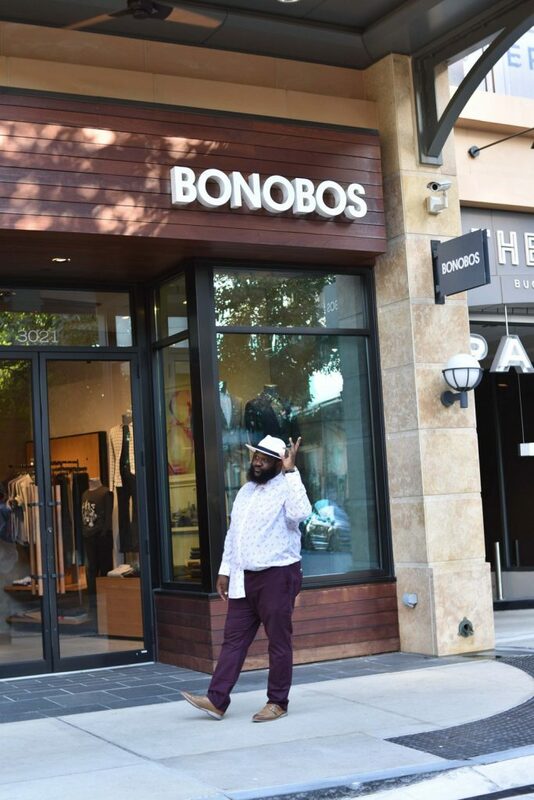 Well, we tapped Kirk of XL Tribe to test out the new Bonobos extended sizes collection, and he did- oh so stylishly. Disclosure: This is a sponsored post with Bonobos but the thoughts and opinions are solely our own. 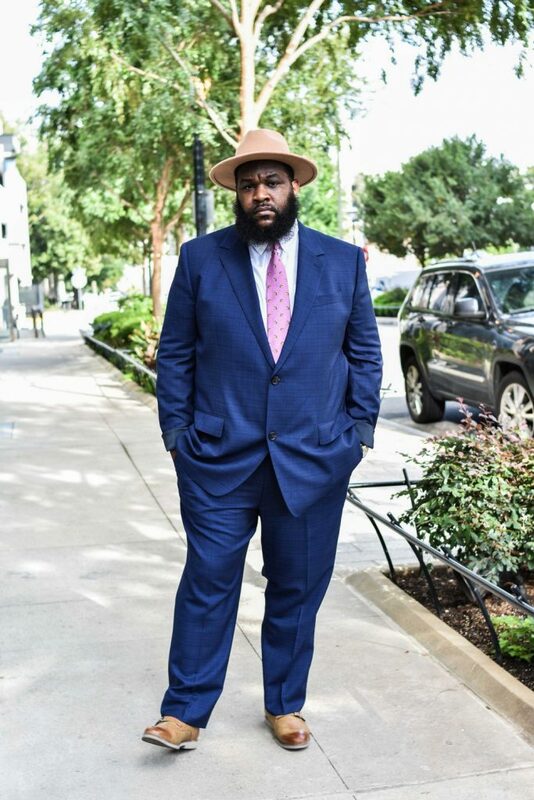 Have you ever wondered if higher end options exist for the Big & Tall man? Well guess what? 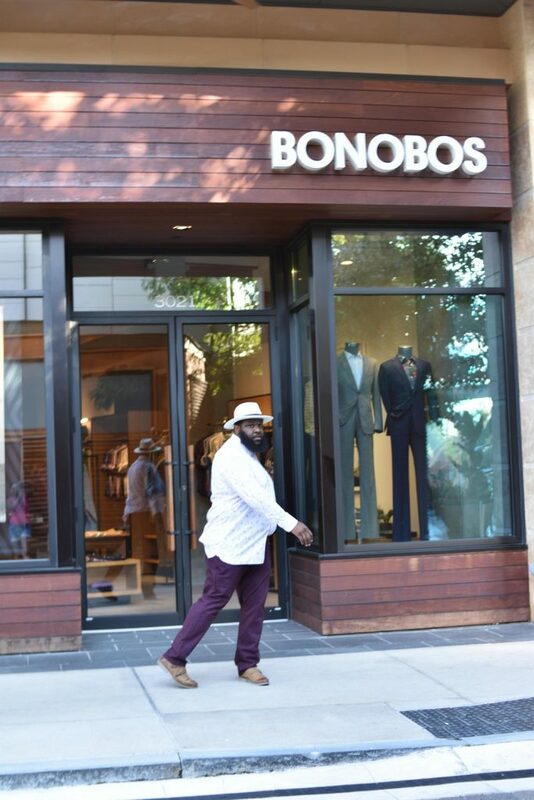 Luxury fashion for the Big & Tall man has arrived (and has been here), and their name is Bonobos. Let’s talk about the sizing they offer. 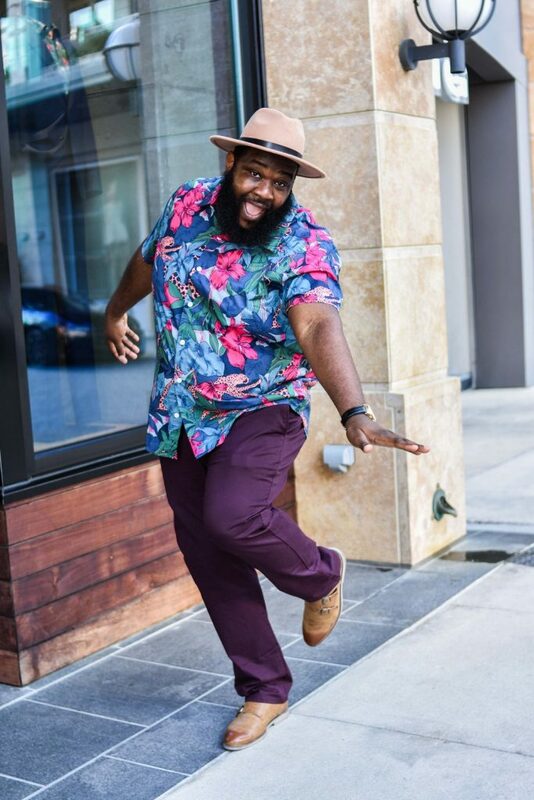 Bonobos has expanded their sizes to a 54in waist and 4XL and wait… there’s more! Bonobos also offers a range of sizes that truly makes me feel that they did their homework and they passed the test. Not only do they offer Big & Tall options, they offer small, regular, and tall variations, too. That’s huge (no pun intended). All men are not built the same and Bonobos got it right, for me! 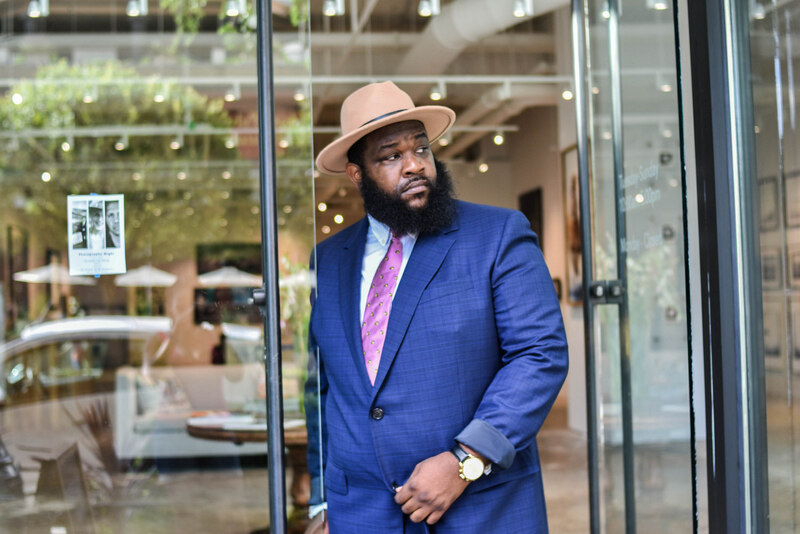 We were curious, intrigued, and excited about this launch, so we had to give them a test drive, testing our how this new Big & Tall collection really worked for us. I wanted to reflect the three days of the week at the office. You start off the week with Monday. You have on your best suit with your poker face because you’re trying to close the deal from last Friday. I wanted to be strong and powerful. 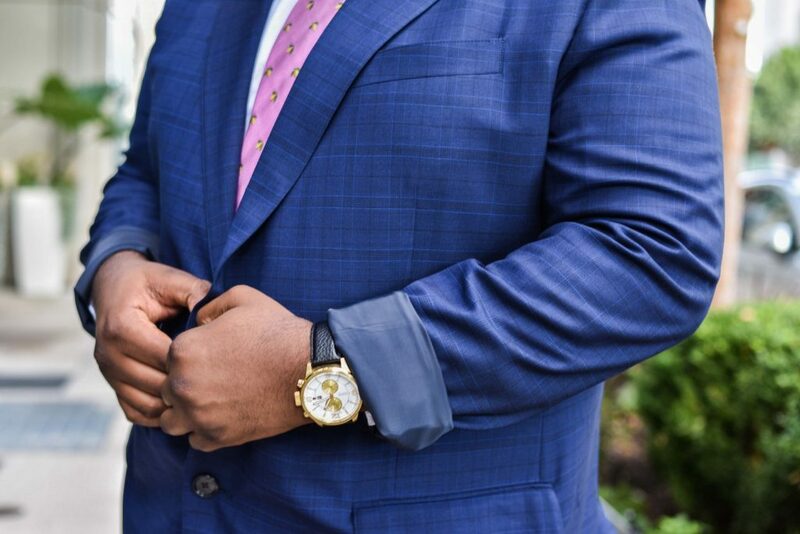 I chose the blue Jetsetter Navy Blue suit to pull off this look. Now, it’s Wednesday and the deal is signed, sealed, and delivered. I paired the stretch washed Chinos in winter wine with a Pink Heeley in a Floral print– yes, we men can wear florals… This tee? I got a size 20 (neck) so I could feel a little bit more dressed up. I’m not the guy that is used to wearing long pants, but I will say these are super comfortable. Choosing the stretch chinos was a positively surprising choice. I chose a size 40 and it was a great fit; Bonobos didn’t disappoint. So now, it’s Friday, the check has not only been cashed and the funds have also been cleared. I wanted to me little bit more casual just to show off different sides of me. So, I paired the Chinos from Wednesdays look with the Riviera Short-Sleeve Peach Wild Cat button down. I got a 3XL in this shirt because I was nervous about the sizing but Bonobos for the win again. We can’t wait for you to try out the new Bonobos extended sizing for yourself! When you do, use #bonobosforus, so we can see your great looks! Which look do you prefer? Which speaks more to your style and mood? I love this! I’m always after my dad (who’s is a B&T guy) to dress better and this can be an awesome gift for him. Also, I’m in love the first suit. I just love all the color and patterns.